All Pleasanton homes currently listed for sale in Pleasanton as of 04/23/2019 are shown below. You can change the search criteria at any time by pressing the 'Change Search' button below. 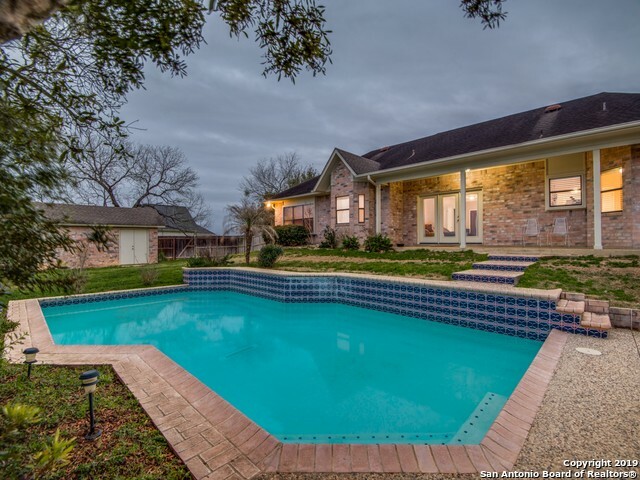 "Beautiful 4 bedroom, 3 bath home in a well established neighborhood. Every bedroom has access to a bathroom. Two bedrooms share a jack n jill bath. Custom flooring and amenities throughout the house. Home has a 2000 sqft. garage/ shop on a gorgeous lot." "Incredible opportunity to own a 40 acre tract close to town with paved road access on quiet Phillips Rd. 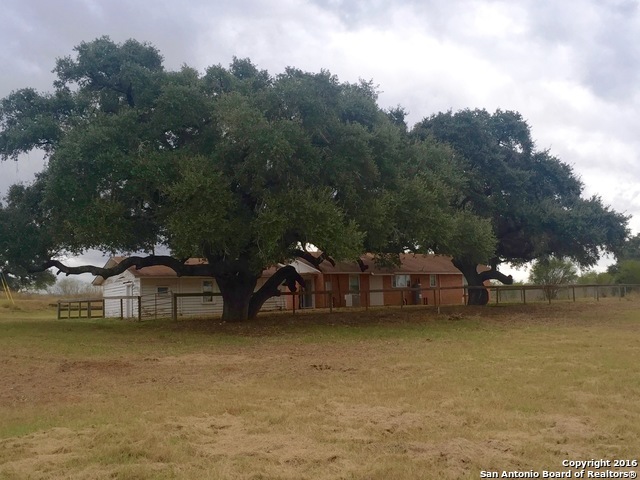 On-site are numerous mature Live Oaks, a stock pond, re-growth brush, and a great hillside with expansive views! 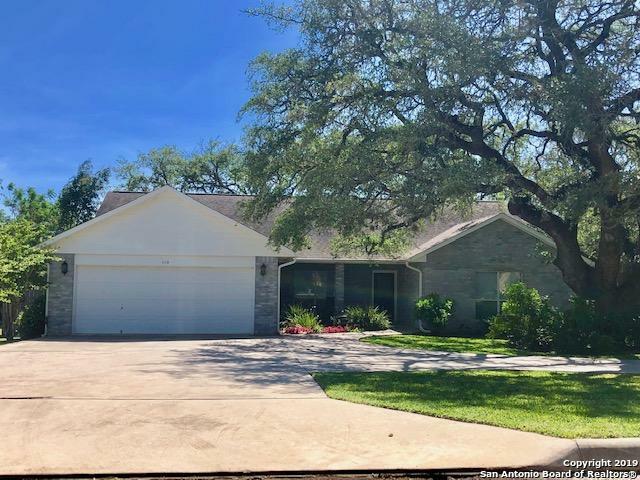 A recently renovated 1,456 sq ft tile block exterior 3 bed 1 bath home is nestled under giant Live Oaks. Additional acreage available." "WOW! 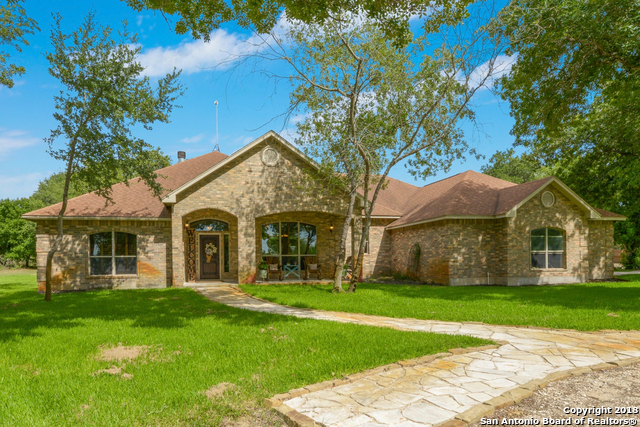 Amazing 2,999 sqft 3/2.5/2 home on 5 acres with everything you need to entertain all your friends of any age. 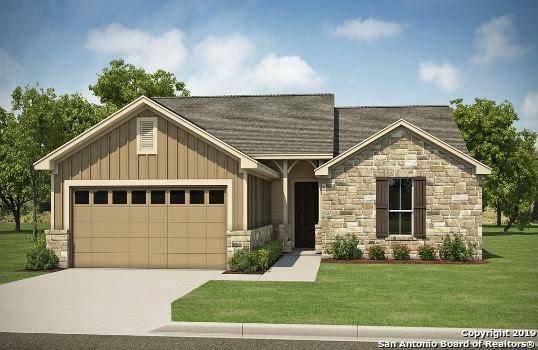 The open floor plan has a large living room with a cozy fireplace, dinning just off of the kitchen, breakfast area overlooking the backyard, and a large kitchen with stainless appliances granite counters, and four ovens! The master suite has outside access, dual vanities, jetted tub, shower, and enormous walk-in closet. The secondary bedrooms are large and are connected with a Jack"
"Gracious, comfortable custom home w abundant natural light flooding multiple living & dining areas. Glass-paneled French doors adorn the study w vaulted ceiling. Chef's kitch has upgraded cabs, granite countrtps, pot-filler, breakfast bar & walk-in pntry. Master ste has private sitting area & outside access, a spa-like bath & a closet to beat all closets! 3 oversized secondary bdrms; one has private handicapped-adaptable bath & outside access. 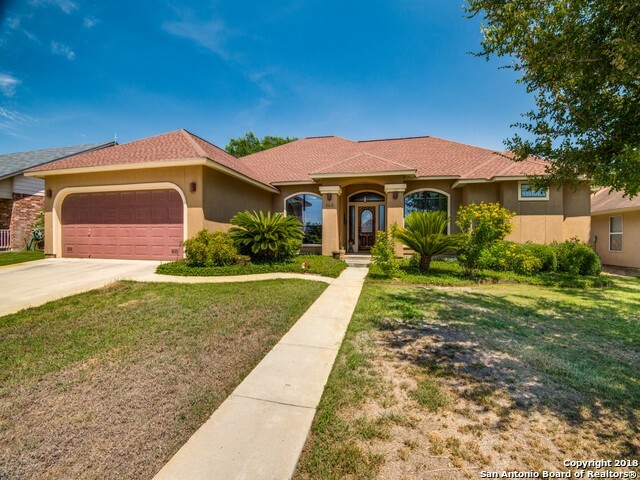 Circular drive, 3-car side entry garage, all on a ha"
"Here is your dream home with an Amazing open and split floor plan, 4 bed 3 bath, 2712 sq. 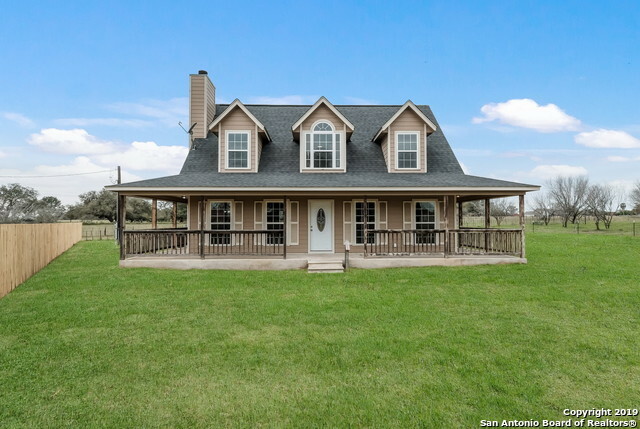 ft. home sitting on 1.48 acres. This wonderful home was built in 2017. Home is 95% complete. Each room has their own custom ceilings. Fireplace insert ready for your choice of electric fireplace." "Beautiful 3 bedroom, 3 bath home with open floor plan. Home has large walk in closets and custom cabinetry with sliding drawers. Florida room faces the East for exceptional morning sunlight. 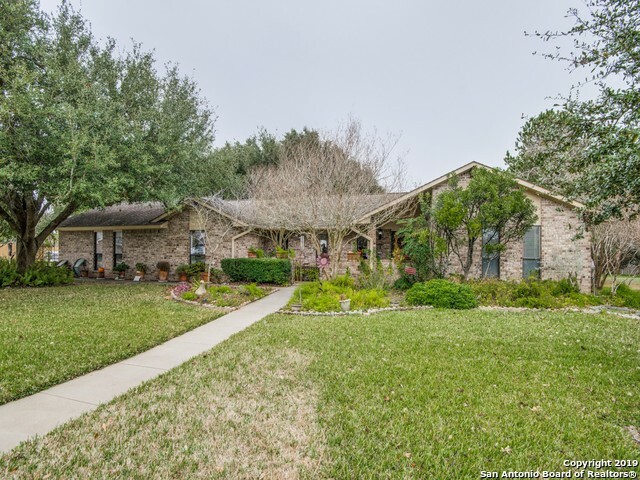 Situated in a well established neighborhood with large, mature trees. Sprinkler system in front and back are on a well to help with city water bill. Come view this home, it will not last long!" "Welcome Home! 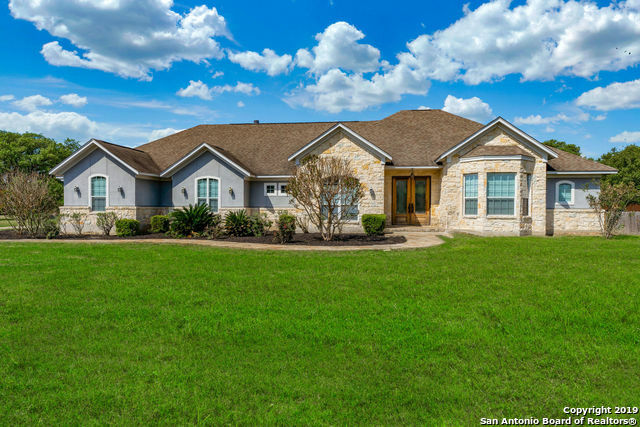 This spacious four bedroom two bath home, on over an acre, features a three car garage and a POOL! Make yourself at home in this country kitchen. The master bathroom is a real Jewel. Feast your eyes on the large tub and walk-in shower. I just love how light and bright it is. Tile floors are a bonus for keeping this large home tidy. Your going to love the way of life this home with bring to you and your family. 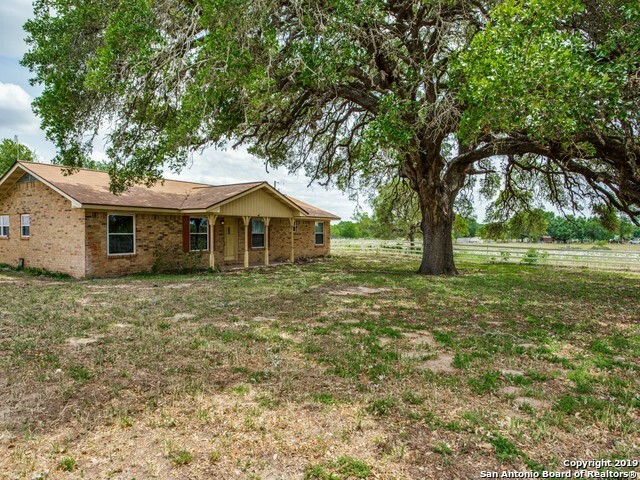 #LeadYouHome"
"COUNTRY LIVING SO CLOSE TO TOWN..BRICK HOME ON 6.5 ACS WITH BEAUTIFUL TREES...HOME FEATURES 3/2/2 WITH COVERED CONCRETE PATIO WITH THE VIEW OF THE BEAUTIFUL FIELD WITH WILD FLOWERS..PROPERTY HAS 24X16 BARN W/ELECTRICITY ON SLAB WITH OPEN COVERED SLAB...SHEDS WITH FENCED AREAS TO SEPARATE ANIMALS...WATER IS RUN THRU OUT THE ACREAGE IN THE BACK..BACK YARD TO HOUSE IS FENCED...FENCED AND CROSS FENCED...ELECTRIC GATE TO ENTER PROPERTY....NEW ROOF...GARAGE JUST PAINTED...DREAM HOME FOR YOUR FAMILY AN"
"4.83 acres w/a 3/2 house featuring a beautifully redone kitchen and bathroom, including custom cabinetry & granite countertops. All flooring, except the bedrooms, are a gorgeous neutral ceramic tile. Large open floor plan. 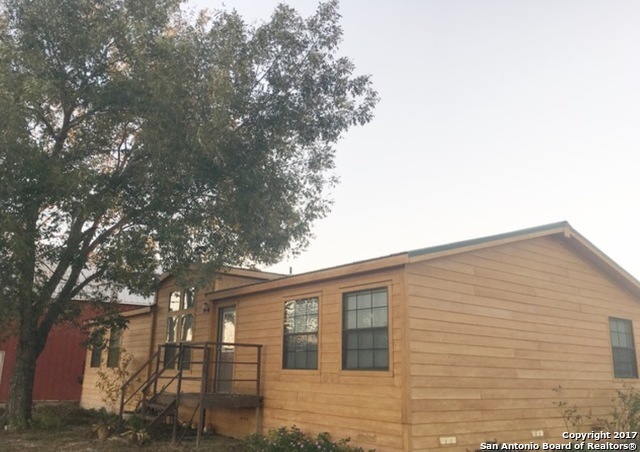 This property also includes a 30x30 3 sided workshop, a fully enclosed workshop with utilities and an additional two-story dwelling complete with kitchen, living, bedroom and bath. The additional dwelling needs some TLC but would make a great rental or MIL quarters. 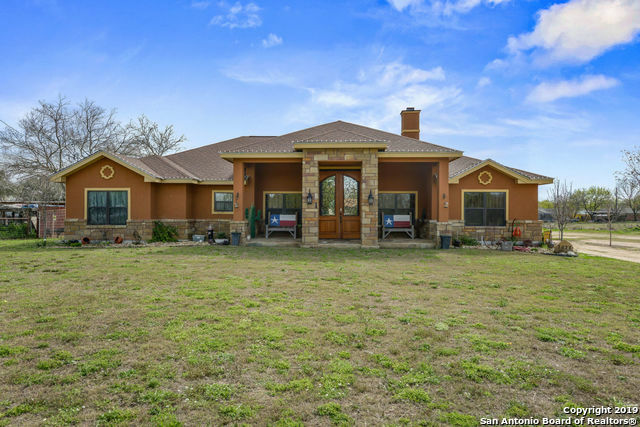 CALL TODA"
"Beautiful rock & stucco one story home in Jamestown with upgrades galore! 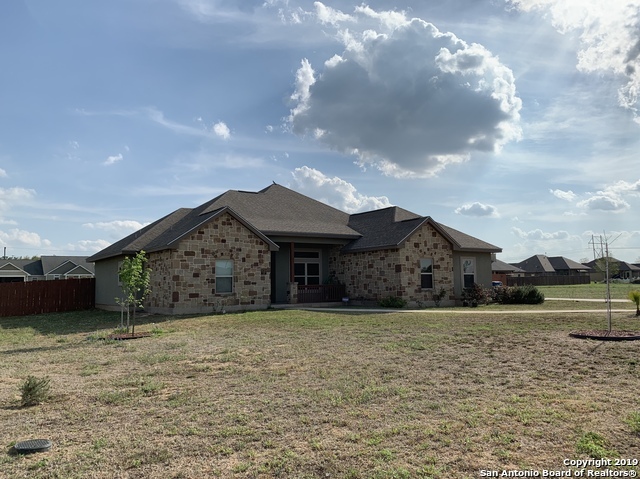 Open floor plan, high ceilings, custom cabinets, lots of closet space throughout, large master bathroom w/granite double vanity & custom built-ins, double sided master closet w/lots of shelving. Gorgeous open island kitchen w/built in custom cabinets, bread box, two accent glass door cabinets w/granite counter bar for entertaining. 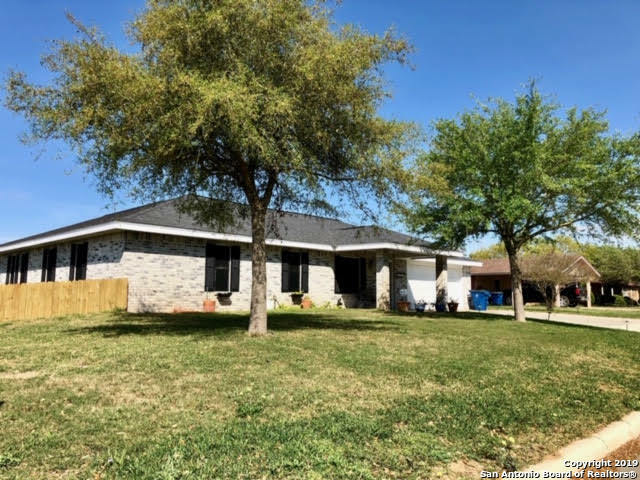 Large privacy fenced yard in cul de sac, side entry garage, circular drive, covered front & "
"OK HERE IS THE HOME FOR YOU 3 BEDROOM 2 BATH BRICK HOME ON GREAT LOT!!!! !2 CAR ATTACHED GARAGE....NICE KITCHEN WITH LOTS OF ROOM TO ENJOY COOKING...ENTRANCE FROM COURTYARD TO A VERY INVITING LIVING ROOM WITH A WOOD BURNING FIREPLACE FOR THOSE RELAXING TIMES....FORMAL DINING ROOM FOR ALL THE SPECIAL OCCASIONS.....MASTER BATH HAS HIS AND HERS VANITIES AND PLENTY OF ROOM....EXTERIOR ACCESS TO PATIO AREA THAT WILL MAKE YOU WANT TO LIVE OUTDOORS....WORKSHOP, STORAGE BUILDING, GARDEN AND GREEN HOUSE!!" "BEAUTIFUL SPACIOUS HOME ON LANDSCAPED LOT....3 BEDROOM 2 1/2 BATH WITH 2 CAR GARAGE ATTACHED....OFFICE COULD BE 4TH BEDROOM...OPEN ENTRY WITH HIGH CEILINGS FRONT LIVING AND DINING ROOM THEN PROCEED TO GREAT KITCHEN WITH LOTS OF SPACE AND DOUBLE OVENS, COUNTER STOVE, LOTS OF PANTRY STORAGE...KITCHEN OPEN TO BREAKFAST AREA AND DEN....BEDROOMS ARE VERY ROOMY...MASTERBEDRM SPLIT WITH NICE MASTER BATH...HALF BATH OFF HALL FOR GUESTS..COVERED BACK PATIO, PRIVACY FENCED..VIEW TODAY!!!!!!! GREAT SUBDIVI"
"Beautiful, well-maintained home in desirable neighborhood. Bonus room for den, study, or 4th bedroom. Open/split floor plan. High ceilings. Tile and wood floor throughout. Fabulous, lush back yard! Enjoy afternoons in large screened in porch and back deck. Mature oak trees in front and backyard. Sprinkler system. Privacy fenced. Storage building." "Nearly Completed New Home. Open Floor Plan, Arched Interior Openings, Granite Counter Tops in Kitchen, Stainless Steel Double Ovens, and Huge Master Closet. We have 3 Model Homes open to the Public. Please feel free to stop by and get a better feel of your potential new home. Photos for Illustration purposes only. $5,500 towards Closing Cost or List Price Reduction"
"If you're tired of the cookie cutterhomes you've seen,then look no further! This home sits on .32 of an acre on a corner lot. This is a custom built 4 bedroom 2 bath home. Open living concept complete with a breakfast bar and all appliances included. The kitchen has tall custom cabinets and an indoor laundry room with plenty of storage space. Summer is around the corner and this massive backyard is perfect for entertaining. Check out that pool and gazebo area! **OPEN HOUSE MARCH 30th 12pm to 3p"
"Nearly Completed New Home. Open Floor Plan, Arched Interior Openings, Granite Counter Tops in Kitchen, Stainless Steel Appliances, and Huge Master Closet. We have 3 Model Homes open to the Public. Please feel free to stop by and get a better feel of your potential new home. Photos for Illustration purposes only. $5,500 towards Closing Cost or List Price Reduction"
"Prime Commercial Location - Seller will Help with Closing Cost- Great Visibility-High Traffic Flow-Stop Renting Your Business Location-Own Your Own - 3/2 Office/Living Quarters - 2400 Square Foot Warehouse/Drive Thru - Commercial Concrete Continuous Flow Drive Perfect for Drive Thru Business/Fast Food Location - Had Previous Beer and Wine License Stop Reading and Schedule Your Showing Now!! Call Today See Today Own in Less then 30 Days! I have Lender - You Will Not Find a Better Deal!!" "REDUCED AGAIN FOR A QUICK SALE!!! HURRY BEFORE IT'S GONE! 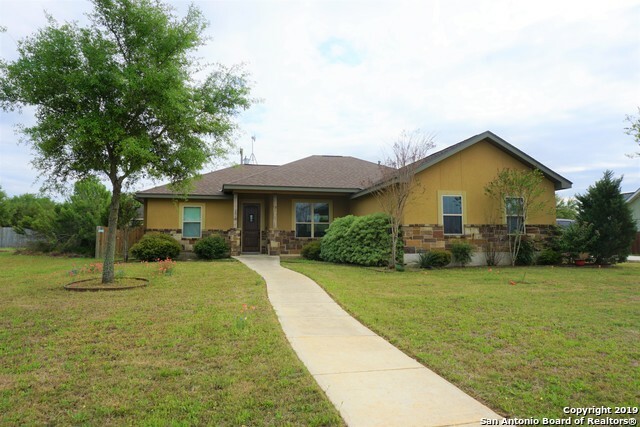 Beautiful Ranch Style 3/2 home has a wrap around porch that's a total of 140 ft. in length! Large rooms & closets! Recent updates to incl. fresh interior paint,new light fixtures,new sink,new driveway,new exterior siding and paint on the guest house.Guest house is ready for your vision to be finished. Only thing needed are some rocking chairs and YOU!" "Beautiful home in desirable neighborhood. Open floor plan, two eating areas, breakfast bar, and large covered patio make this home perfect for entertaining. Granite countertops in kitchen and both baths. Stainless appliances. Spacious master with walk-in shower and closet. Plenty of storage throughout the home. Sprinkler system covers both front and back yard. Privacy fenced. Side entry garage. Enjoy filtered water throughout the home. Plumbed for water softener. Refrigerator conveys." "A beautiful 3/2 with an extra living room/bedroom/ game room. Been updated with granite countertop, cherry wood cabinets, and appliances in kitchen. Fireplace in a very at home living area. Very contemporary feel from the great storm door, the front door, wood laminate floors and ceramic tile. 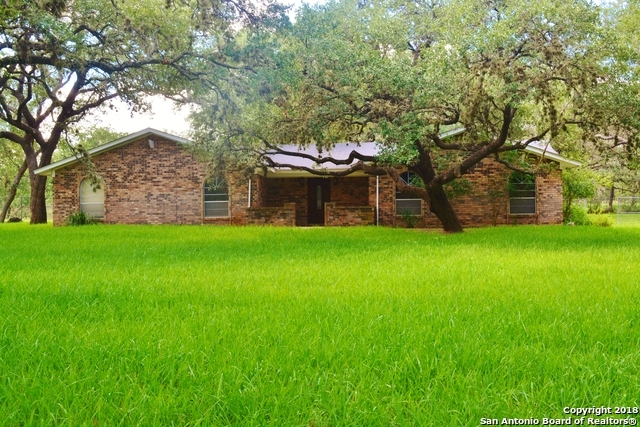 Has landscaped yard with huge oak tree and nearly new storage building. master bath had been updated and close to schools." "This Home Has It ALL!!! Solid Brick Exterior, Large Lot, 3 Bedrooms, 2 Bathrooms, Large Living Room with Fireplace, Covered Porch, Covered Patio, Room to Entertain, and Much More!!!! Call Today This Home Will Not Last Long on the Market - This Home Features Upgraded Appliances, Fresh Paint, New Fixtures, New Hardware, Accent Walls, Upgraded Flooring, and Superior Interior and Exterior Finish of Any Home on the Market!!! 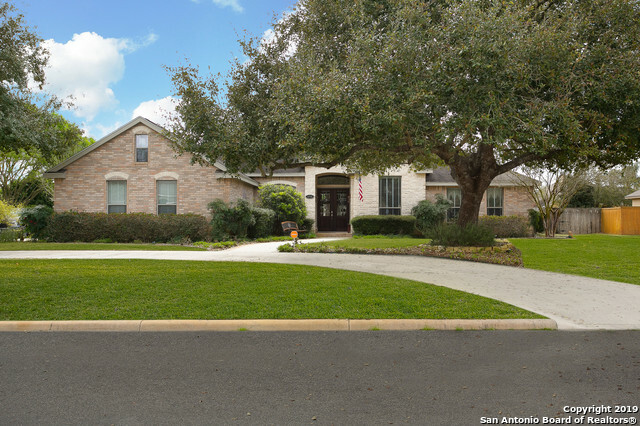 Features Pleasanton ISD School and Highly Desirable Neighborhood!! 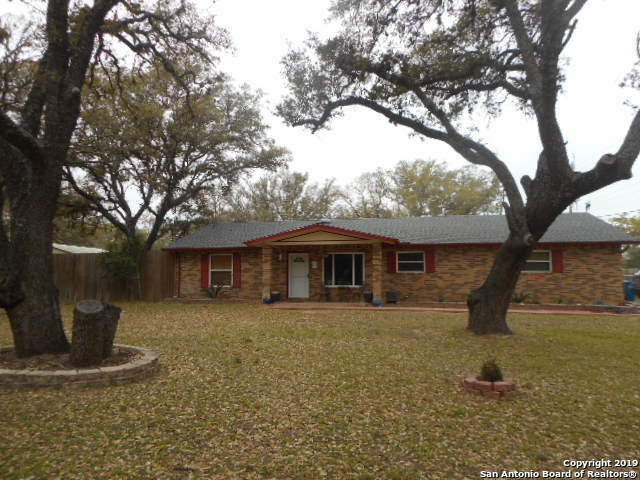 Call Toda"
"Lovely home under the Oaks on a one acre lot. 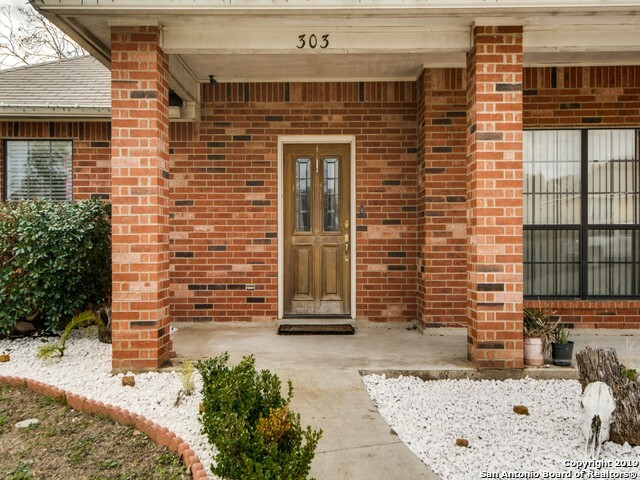 An updated 3 bedroom 2 bath home is move in ready. The open living and kitchen area is great for entertaining. The screened porch provides an insect free evening and unique patio is perfect for barbecues. The huge master bedroom and master bath has a private entry/exit to the back yard. All kitchen appliances plus washer/dryer and freezer are included with property. The large back yard has 2 storage buildings and perimeter fencing & privacy fencing"
"Ready to move in to this quiet niegborhood? Pleasanton is a charming small community close enough to SA for a commute! Four bedroom, two bath brick home on corner lot. High ceilings in living area. Split bedroom arrangement. Open concept floor plan. This kitchen has lots of cabinets! Storage is a plus in this large home. We will leave the lights on!"